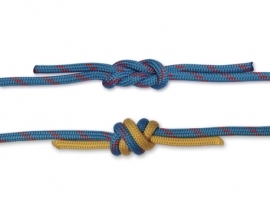 The Angler’s Loop is an easy to tie fixed loop. It is also known as the Perfection Loop, a name it earned for the ability to tie the loop perfectly in line with the standing end. 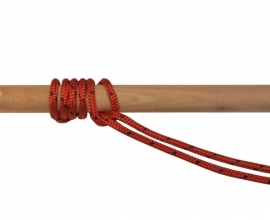 It’s great for use in slippery lines, thin ropes and holds well in elastic cords. 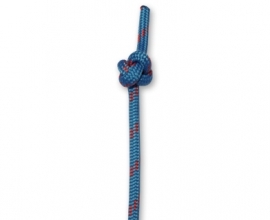 Keep in mind when using this knot that it has the tendency to jam and is best left alone if you need to untie the knot after it’s been under pressure. 1. Start by making a crossing turn, crossing the working end underneath the standing end. 2. Wrap the working end 1½ times around the base of the crossing turn. 3. Put your hand through the back of the loop and grab hold of the full turn. Pull the full turn over the half turn and out through the loop. 4. 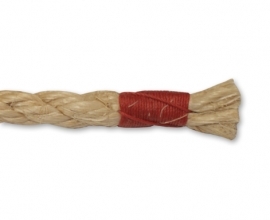 Dress the knot by pulling the new loop and the standing end in opposite directions.